Want to get your kids interested in fresh food? 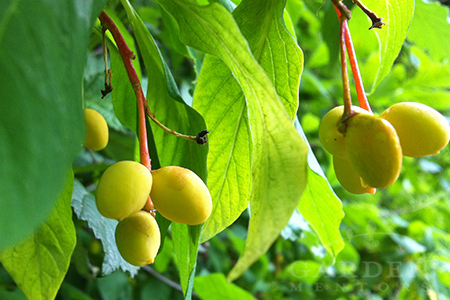 Grow some berry bushes to get’m hooked fast! 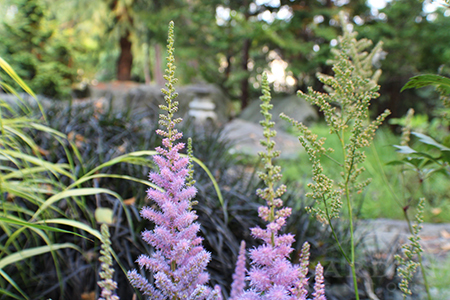 Did you know we are now serving gardening clients in Whatcom, Skagit, Snohomish & King County? Contact us to book your garden consultation or design today! It’s amazing how quickly ten years of speaking at NWFGS, aka the Northwest Flower and Garden Show/Festival has flown by. This year, 2019, marks the 10th year I (Robin) have been invited to speak at the show. Gulp! 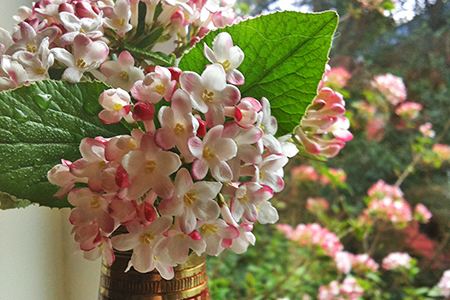 Join us to learn about growing fragrant delights like this in your garden & enjoying them indoors fresh & preserved as well. I hope you’ll join me at the newly branded NW Flower & Garden Festival on Sunday, February 24th at 2:15pm in the Rainier Room for Growing a Garden of Fragrant Delights. 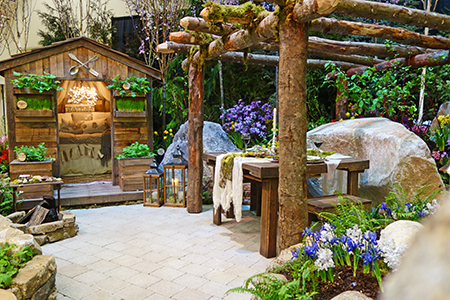 Want to get into NWFGS for free in 2019? Be sure you’re subscribed to our mailing list before February 1, 2019 for a chance at our subscriber-only free ticket opportunity! This year I’m super excited to be speaking about growing fragrance in our gardens, being thoughtful about placement of some super stinky plants, appreciating wild aromas, and bringing the delicious scents of nature into our homes in fresh and preserved forms in ways that may be healing as well as aromatic. I’ll also be sharing samples of the handmade products crafted from fragrant garden delights that we now sell in our GardenMentorsDesigns Etsy Shop! Before I became a NWFGS speaker, I was involved with the show in many other ways. Over the years, I worked with some amazing folks to create award-winning show gardens. 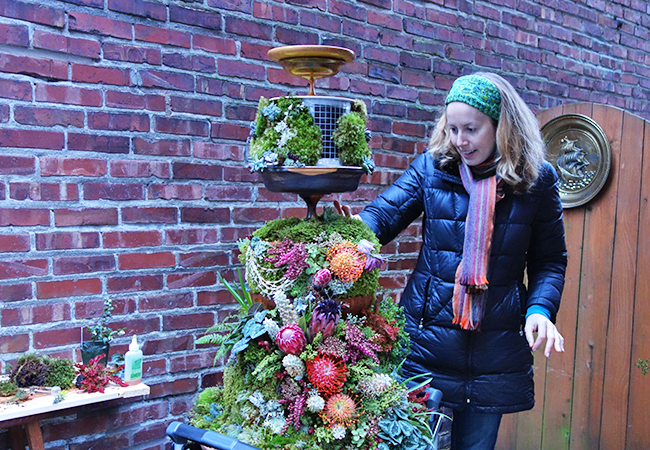 I’ve coached clients in their award-winning floral creations and City Living Displays. In 2015 my dear friend & garden coaching client Mari Malcolm stunned NWFGS audiences with her award-winning floral wedding cake design. I had the honor of visiting her & cheering her on as she crafted her groundbreaking work of floral art. No matter how I participated in the show each year — as a tourist in my pre-participant years or as a show garden volunteer in my student (and later years) or as a designer or speaker in my professional years — the NW Flower & Garden Show always been an annual highlight and honor for me. Handmade Herbalist Goods on Sale Now! Our handmade herbalist botanical goods are now for sale on Etsy! Our handmade salves, lotions, teas, soaps, hydrosols and more have become so popular that we’ve put them up for sale in the GardenMentorsDesigns Etsy shop. These herbal goodies are all inspired by our love of the natural world and the human connection to . 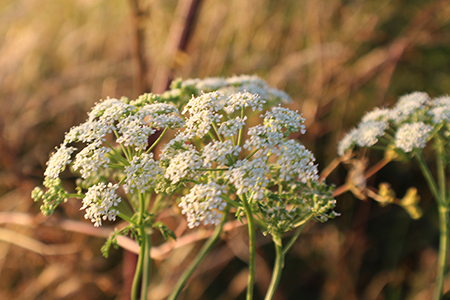 Much of what we sell is derived from herbal flora we grow with intention, forage ethically in the wild, or harvest with permission from friends’ gardens. Well, actually, a few of those items will be coming soon, but the ones in highest demand are there now! Order before February 1, 2019 & get our lowest price on this Box of Love! Flora & Fauna Gift Card Sets – Discounted! If you like our shop offerings, be sure to favorite it. On special occasions we’ll send out offers to folks who love our store and shop there, and often shoppers will get a reward for making a purchase too. And, if you aren’t subscribed to our mailing list, sign up soon. Our subscribers always get the best of our giveaways and discounts! If there’s something missing from the store that you’d like to see us offer, get in touch. We’ll do our best to produce the handmade herbal items our shoppers love most. Join us & spend a day learning at our gardening workshop & tour. In response to seeing our photos and hearing our gardening transformation tales, many clients and followers have requested visits to our garden. So, we’ve decided to offer a one-day educational retreat day here this summer. Join us for a day of learning, relaxing & taking in the beauty of our peaceful garden settings like this meditation spot in the Asian-influence park by our water lily filled upper pond. But, this won’t be a typical “look at the magazine perfection” tour. Instead, we’ll take a realistic view of the overall space and consider what works, what doesn’t work, opportunities, challenges and the true beauty of a garden always in progress. Too, there will be door prizes, farm-fresh good eats and time to relax in a gorgeous setting. 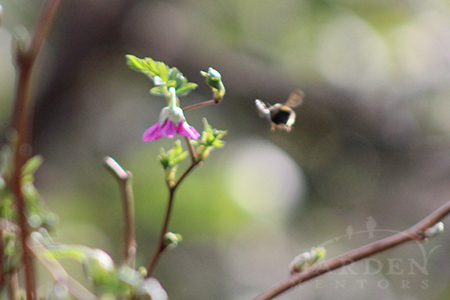 Native plants like this blooming salmon berry & wild fauna like this bumblebee (& lots of hummingbirds) will be featured. Hopefully, frogs & eagles will make an appearance too! Is that a weed or what? How much does it cost & when is it happening? This event happens August 11, 2018. Cost is $200/person, payable in advance. Attendance will be limited, and we are only accepting a few more sign ups as of this writing. Building a critter-resistant vegetable garden on a clay ridge is an on-going project. 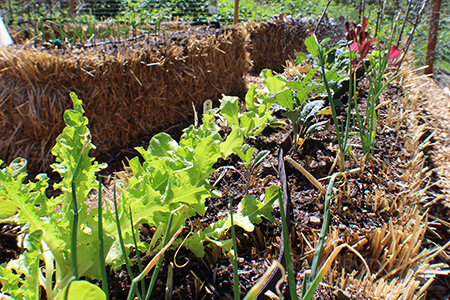 We’ll look at straw bale & sheet mulching beginnings to a thriving, low-input food-filled space today. Get in touch via our contact page indicating your interest in the event asap. We’ll get back to you right away to start your enrollment process. Indian plum blooms in late winter & by spring this native plant is lush with ripening, edible fruits. Learn more on the Upland Trail! Following is the current schedule, so mark your calendar, and please pre-register for any or all of these events so we can be prepared for each group. And, bookmark this page or sign up for our mailing list just in case we announce more programs in the future. The NW Flower & Garden Show 2018 (or Festival, as they’re now calling it) opens February 7th this year, and I can’t wait. I’m working on three new, exciting seminars. Hate the name. Love the Game! 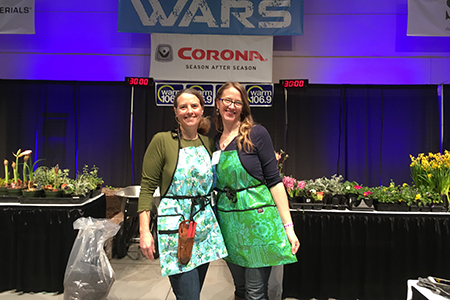 NWFGS live competitions are such fun for everyone! And, I’ve got some great goodies to hand out to some lucky folks to attend my talks. But, I’m getting ahead of myself. Growing even as we age: One of my seminars this year takes a look at ways we can work toward a garden that accommodates our needs as we age. In doing research, I learned that ElderGrow will have an educational presence at the show. Don’t know them? Come to my seminar, Retire into Your Garden with Ease, on Wednesday, 2/7/2018 at 7pm in the NWFGS Rainier Room to learn more (sneak: Attend & possibly take home some free tools to make gardening easier). Or, look for Eldergrow in your show program. Display Gardens: I always look for new inspiration, plants and cool products among the many amazing gardens. Choice Garden’s adorable 2017 display garden. Will they do as well in 2018? In 2017, I wanted to move into the little cottage setting created by Ryan and Choice Landscapes. I’ll be looking closely for more from them this year. Less is More Learning: The seminar rooms is where I’ll be spending most of my time during the show. And not just because I’m giving three talks this year. NWFGS always brings in the best speakers to inspire my growth. Last year, Dan Hinkley’s talk on ways to transform and reduce lawns, included a hilarious “Drink & Mow” methodology. He may have meant it as a joke, but we took it seriously and to great effect. More on that in my Is That a Weed or What? seminar on Sunday, 2/11/2018 at 2:15pm in the Rainier Room. No watering required gardening is something none of us can afford to miss. I’m looking forward to slipping into Kirk R. Brown’s talk on the subject in the Hood Room on Wednesday, 2/7/2018 at 12:30pm for at least a few minutes before I have to set up for my first seminar of the show: So You Want to Keep Bees?, which begins at 2:45pm on 2/7/2018 in the Rainier Room. Visiting the battlegrounds: If you came to see me compete in the the Container Wars arena last year, you already know that I’m not a fan of the name of the various competitions. So much so, I brought peace offerings to my competitor, and we participated in more of a fun, educational cooper-tition than a war. But, here’s the thing: these programs are hilarious, educational and involves the audience. And, this year there’s a live floral arranging competition in addition to a container design competition. Sadly, I don’t get to play on stage this year, but others in the line ups are gonna be great! Plant-a-holics: Last year I picked up onion starts, seeds, a self-fertile apple tree, a few orchids, and a number of air plants. This year, I look forward to visiting the plant market for more of the same. Once you get hooked on air plants and orchids, there’s just no turning back. And, who doesn’t end up taking home at least a few things to grow from this fantastic festival of all things garden?